US-Import.Ferrari F1-2000/Schumacher Victory!-Australian Grand Prix 2000. Race. Ferrari Automobile Car Poster. 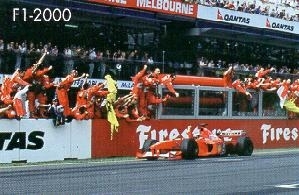 Do you have a question concerning our product 'Us-import Ferrari F1-2000/schumacher Victory -australian' ?